GRYSON, OLIVIA HARRIS and IIIBeca are uniquely designed by Joy Gryson. GRYSON was launched in by Joy Gryson 2006 as a brand of luxury accessories inspired by her home in Tribeca, New York. 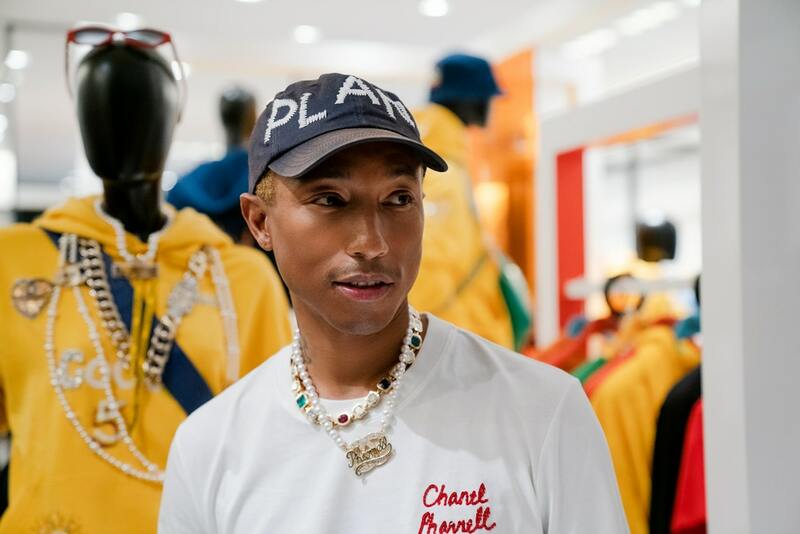 In a short period of time, the label took off resulting in being nominated for the CFDA Accessories Designer of the Year award for emerging talent. In September of 2010, Gryson was selected as one of the eighteen hand-picked designers by Glenda Bailey to join the first ever Harper’s Bazaar Accessories Bazaar at Lincoln Center where the spring 2011 collection was presented. Jakarta, 4 September 2013 – A female mood in fashion could swing every now and then. Some days you want to be girly, the others you just want to put on a feisty Mohawk. Dressing up could be a fun and personal experience when one has to face her multi-layered emotion every day. Thankfully, we found OLIVIA HARRIS by Joy Gryson during our trip in the big apple that fit this ever-altering mood of women everywhere. When we discovered OLIVIA HARRIS by Joy Gryson, the collection is beautifully handcrafted, high-end leathers in super cool colours and silhouettes, however, we are pleasantly surprised when we looked at the price tags. We have to bring them all to our lovely loyal Urban Icon lovers here. It definitely matches our fresh series of brands in our store for every unique personality. You may be familiar with the designer’s name. You are right, she is the brain behind the recently launched Gryson and IIIbeca. OLIVIA HARRIS is the second line she introduced in 2009 that also happens to be Joy daughter’s name. Eclectic, fun, edgy, are going to pop in your mind when you see OLIVIA HARRIS, both personally or when you experience the brand’s collection of cross body, satchel, sling bags. The handbag creations showcase a versatile range of shapes, sizes, and designs that fit seamlessly like your Mr Perfect. Resides in Brooklyn or the Lower East Side, Joy Gryson was inspired by the style of girl bands from the 80’s like the Go-Go’s, The Pretenders, and Pat Benatar when designing OLIVIA HARRIS. Similar to Indonesian indie rock scene, the style allows every fan to express themselves freely. The collection’s dazzling colours and its functional designs are exactly what most women hunt these days. The rock-and-roll attitude of the collection is certainly amplified and has a loyal groupie following fueled by retailers such as Bergdorf Goodman, Saks, Neiman Marcus, and Bloomingdales. Stars and idols such as Fergie, Sienna Miller, and Beyonce are spotted with OLIVIA HARRIS by Joy Gryson, and of course, most girls want to be just like them. Be the first to check out and feel the OLIVIA HARRIS by Joy Gryson handbags collection at Urban Icon store near you this September. In 2007 GRYSON introduced a small, yet the significant line of shoes to complement their handbags and in spring of 2009, Joy unveiled a contemporary collection of handbags called OLIVIA HARRIS by Joy Gryson, named after her daughter. In fall 2012, Joy launched IIIBeca by Joy Gryson, a line of handbags masterfully designed with the finest Vachetta leather and available in a wide spectrum of colours, calling on a unique combination of practicality and style. Most recently, Joy opened her first store in August of 2012 in Tribeca, New York. Joy is a long time resident of downtown New York. She was born in Korea and came to the U.S. when she was three years old by her adoptive parents and has been a New Yorker ever since. She attended and graduated from the Fashion Institute of Technology in New York City. Jakarta : Grand Indonesia, Senayan City, Plaza Indonesia, Mal Kelapa Gading 3, Central Park, Kemang Village.